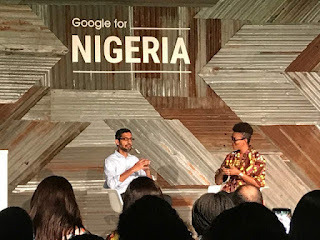 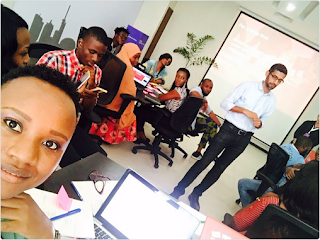 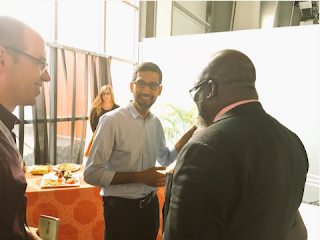 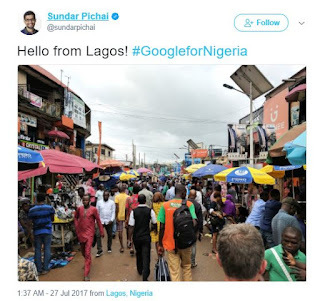 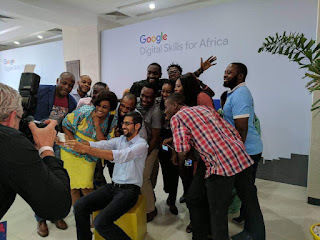 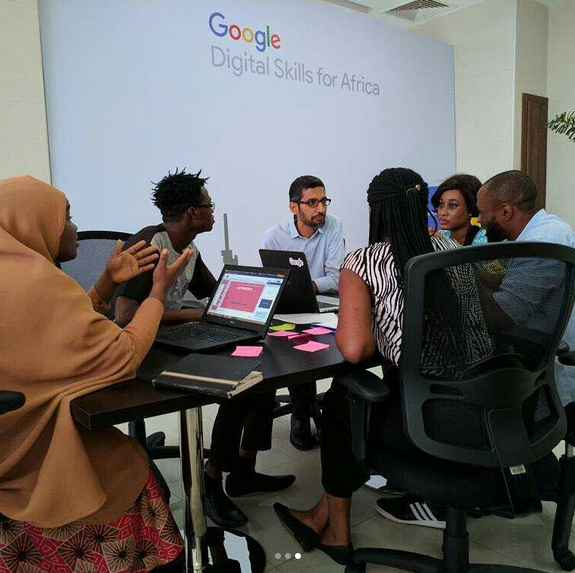 The Chief Executive Officer of Google, Sundar Pichai, is currently in Lagos for the ‘Google For Nigeria’ conference that held at the Landmark Event center. 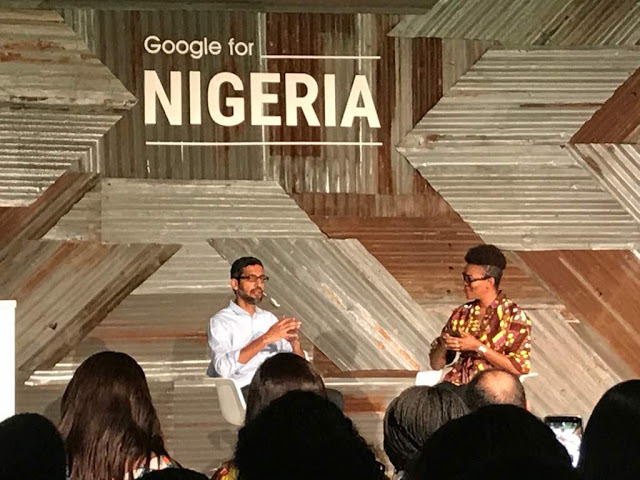 The 45-year-old Indian-American business executive is announced that Google will in the next five years train 10 million Nigerians. He had just tweeted a photo of computer village in Lagos.